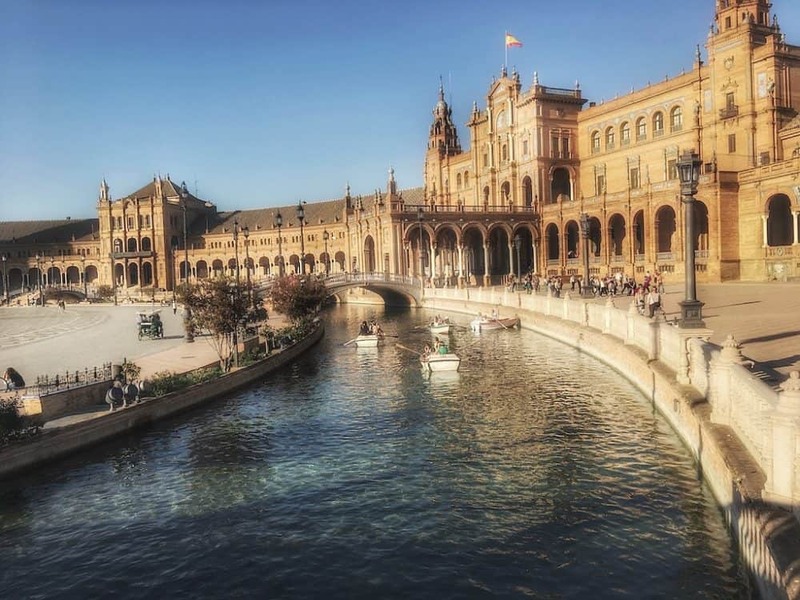 Whilst there are so many truly beautiful architectural attractions in Seville to choose from, one place where you can relax and just take in the beauty of the city is the wonderful Plaza de España. The square which in English is known as ‘Spain Square’ can be found in the beautiful Parque de Maria Luisa which was built in 1928. What makes the square special is the mix of the spectacular Renaissance and Moorish architecture. The park was designed by Jean-Claude Nicolas Forestier and is a perfect place to go to get away from the crowds in a bustling city. It was designed by Anibal Gonzalez and he managed to combine 1920s Art Deco and mock Mudejar and Neo-Mudejar styles. The bridges crossing the moat represent the four ancient kingdoms of Spain and when here I promise you’ll be in awe at the vibrant colours, architecture and peace of the square. Seville’s historical centre is extremely special – it’s easy to argue that most historical centres are special but Seville is guaranteed to blow your mind! Whilst there are numerous buildings to be seen in Seville’s historical centre two incredible buildings that can’t be ignored are the Alcázar of Seville and Seville Cathedral. 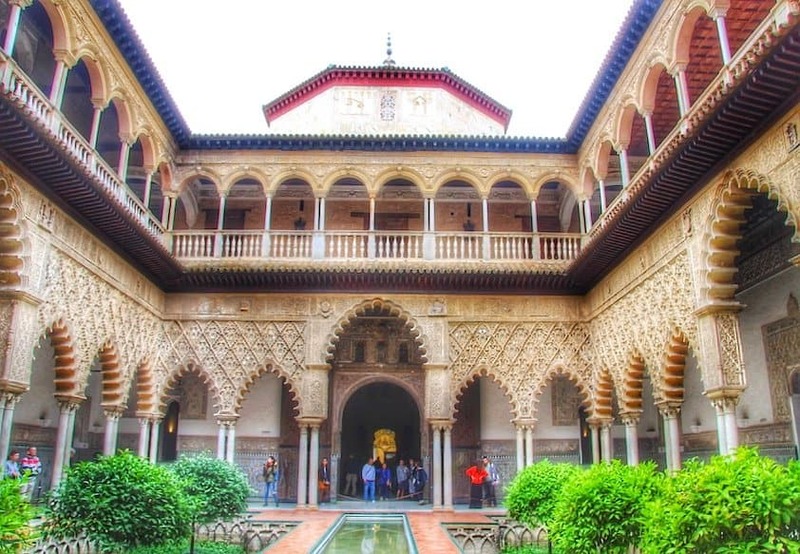 The Alcázar of Seville which is Seville’s Royal Palace has seen an increase in tourism after it was used as a location for Game of Thrones in the fifth season but this not just a place for ‘Thronies’. This incredible piece of architecture was originally developed by Moorish Muslim kings. In 1987, it was registered by UNESCO as a World Heritage Site. As you wander around the palace you will be enchanted by the design and patterns. You can buy tickets online for €10.50 for adults, just €2.00 for under 16s. Seville’s Cathedral is a prime example of the city’s interesting past as it was initially being an Almohad Mosque from 1172-1248 before became a Christianised Mosque from 1248 then Gothic Fabric. Like the Alcázar It was also classified as a by UNESCO as a World Heritage Site in 1987 – it took the title of the largest cathedral in the world from Hagia Sophia and is now the third largest church based on floor space after St Peter’s Basilica in the Vatican City and the Basilica of the National Shrine of Our Lady of Aparecida. 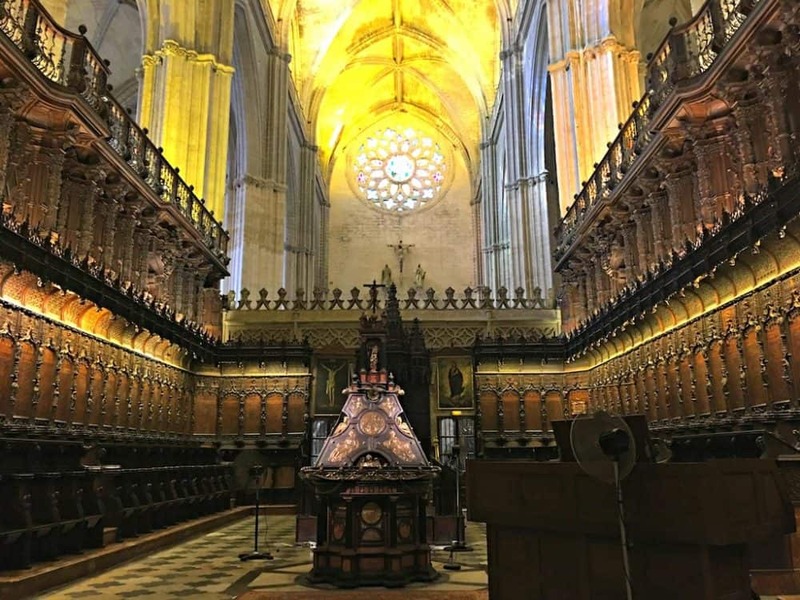 One of the reasons for its fame is that Christopher Columbus and his son Diego are buried in the church. 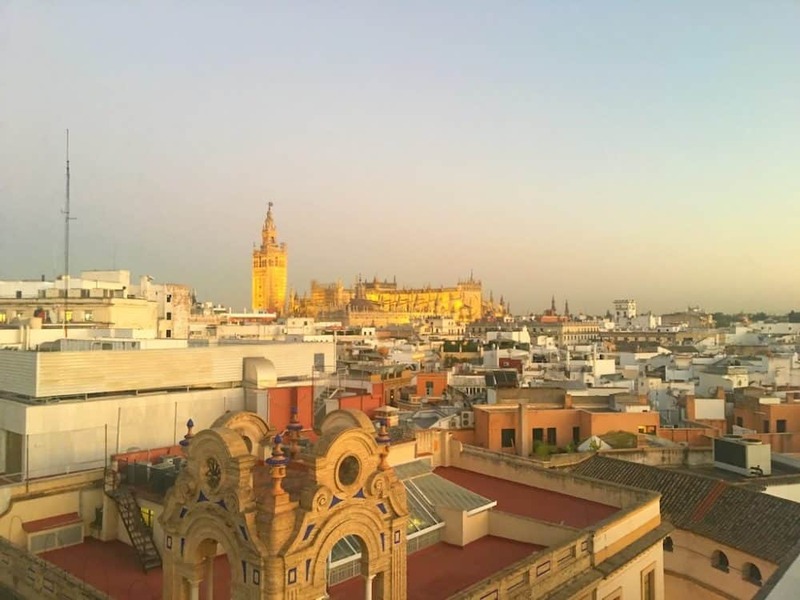 You should really try and make time to go up the Giralda clock tower and enjoy the splendid views. 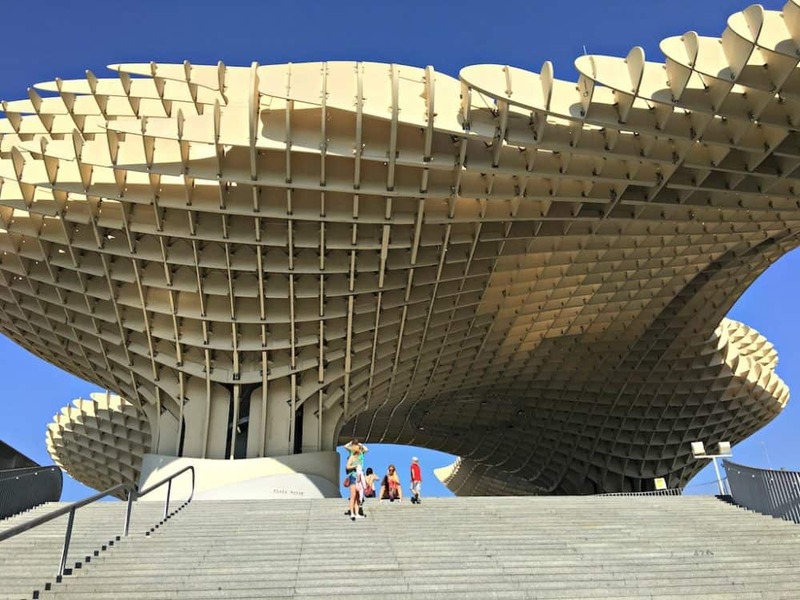 One modern sculpture that can’t be missed is the Metropol Parasol – known to locals as ‘The Mushroom’ it is famous for being the largest wooden structure in Europe. Generally, there isn’t a large queue for this one but if there is one don’t worry as it moves quickly. It only costs three euro to get in and you get a free drink at the top of the café. As you walk around the super cool structure you will be treated to wonderful views of the city. You will get to enjoy a 360-degree view of Seville. After enjoying the views head downstairs to Cerveceria la Surena and enjoy an ice-cold bucket of beer for around five euro. The food and drink (of course)! Along with Seville’s balmy climate, the city is famous for its food and every bar you go to offers a different tapas. One place well worth visiting is the famous El Rinconcillo Bar which dates back to 1670 and was believed to be Seville’s oldest tapas bar. Another popular location is Eslava which can be found on the left bank of the Guadalquivir River and has a restaurant and tapas bar. 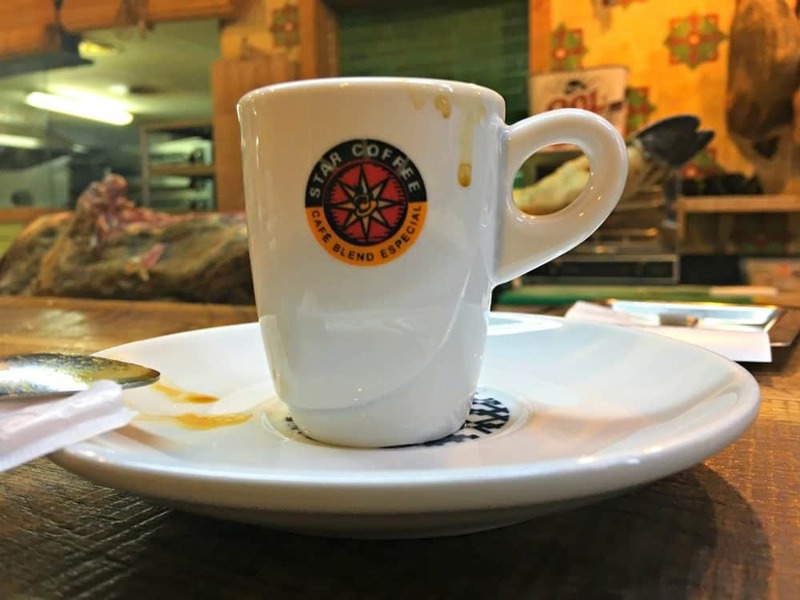 Then there is conTenedor which is an upmarket restaurant with fresh produce purchased from the local market – the daily menu depends on what’s available. This is one for restaurant lovers as opposed to someone looking for tapas. Spain is famous for fun nights out and Seville won’t disappoint – if you have the stamina and energy you can party all night long! Alameda de Hercules is a great place to party. There are lots of bars as well as some small clubs and is the place to go if you are looking for a late night. 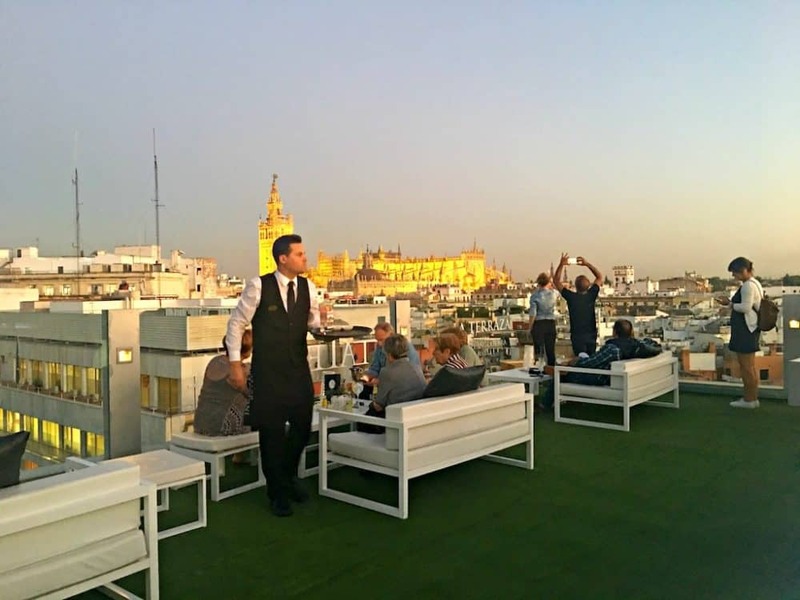 Probably the most picturesque place to enjoy a drink is in Calle Betis where you can enjoy one of the many bars and sit alongside the water on one of the outdoor tables and enjoy some of the city’s best views. If you are interested in mixing with international travellers then Alfalfa is the place for you, it’s where the international students tend to hang around. And of course, if you’re on the hunt for something traditional then Triana is the perfect stop. It’s very famous for flamenco dancing (which the locals are hugely passionate about!) and there are various bars where you can watch a show – Casa Anselma is probably the best known. Seville is very well connected to Spain’s capital and surrounding cities as well as major cities across Europe including London, Amsterdam, Dublin, Paris and Rome. We arrived in Seville from Madrid via RENFE’s high-speed train from Madrid and left on a Ryanair flight to Stansted. There are approximate 17 trains a day going between Madrid and Seville each day and the travel time is just over two and half hours. Getting to and from the airport is very easy with the EA Bus only costing €4 – It goes to and from Plaza de Armas and stops at via Santa Justa train station, Prado de San Sebastian bus station as the Torre del Oro. If you want to get a taxi then there’s no need to worry about getting overcharged as the set fee during the weekend is €22 with weekends and evenings at a cost of €25. Want to visit to visit Seville and many other beautiful Spanish cities by high-speed train? Now you have the chance to win two RENFE train tickets to use on the AVE network next year. All you have to do is answer a very easy question about Scott’s Spain by Train trip. Good luck! This post was brought to you as a result of the #SpainbyTrain blog trip in partnership with Renfe and the Spanish Tourist Board. Global Grasshopper maintains full editorial control of the content published on this site. Vancouver Canada - the world's most perfect major city? Beautiful city, I have to go there. Its such a amazing and beautiful city. 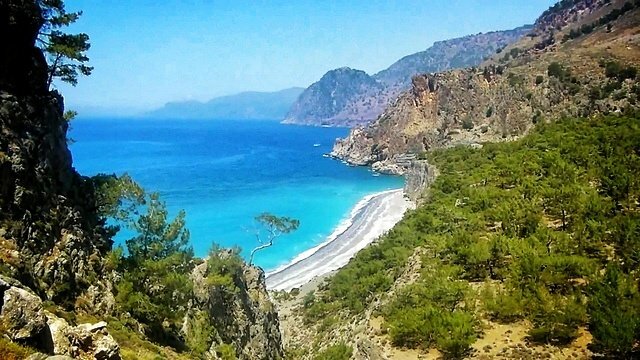 I wish to travel at there in next holidays. I would recommend travelling around by train to anyone, it’s always been very comfortable and reliable. I totally agree – when I was younger I travelled around Europe by train and it was a great experience. Travelling around Spain by train makes the country much more accessible and it’s comfortable way of moving around. Love the look of the architecture, the cafes and that rooftop bar! It wonderful city – looking to go back new year and spend some more time there. Such a cool place to visit. Wonderful photos Scott, especially the square and the cathedral! Thanks – first time I was there and hope to go back! Seville is such a beautiful place and I would recommend everyone to visit in their lifetime too! Travelling by train seems like a good idea and I must give it a try one day! 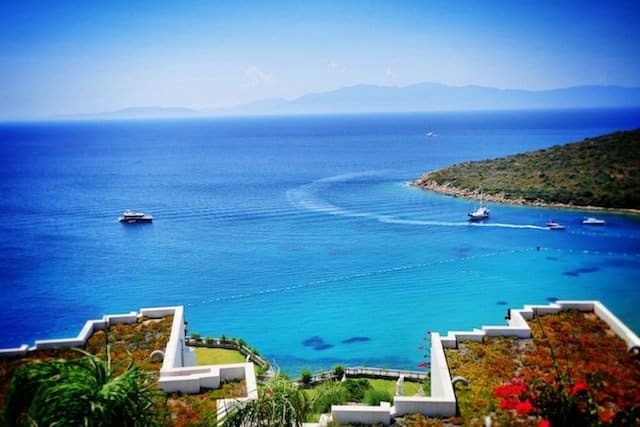 I was pleasantly surprised on the price as well – if you book in advance you can get some really good deals. 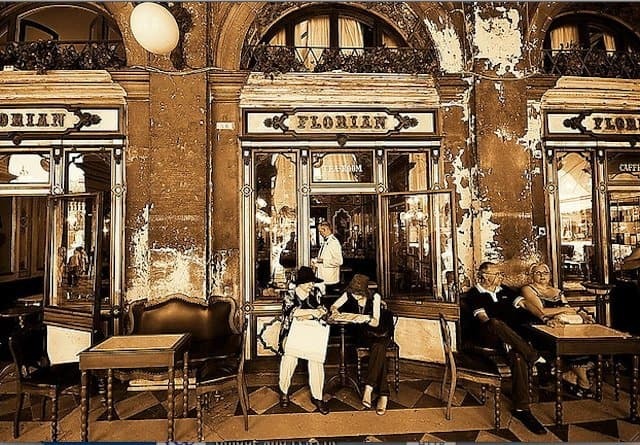 This takes me back to my wonderful visit a few years ago, it really is an extraordinary city which I think everyone in their lifetime should visit! A great place – my first time visiting but hope to go back in the future. Loads more to see! Great trip and photos Scott, haven’t heard much about Tarragona but it looks like a fabulous under-the-radar destination! Thanks – it was loads of fun. Seville looks so beautiful what a lovely looking city and will enter the competition too! Thanks – it’s an incredible city. One with so much to offer – it has something for everyone. I would highly recommend it – I loved it and am already planning to go back in 2018. Thanks …. they were great fun! Fabulous write up, photos and competition! Good luck to everyone! Thanks a million – a wonderful trip.